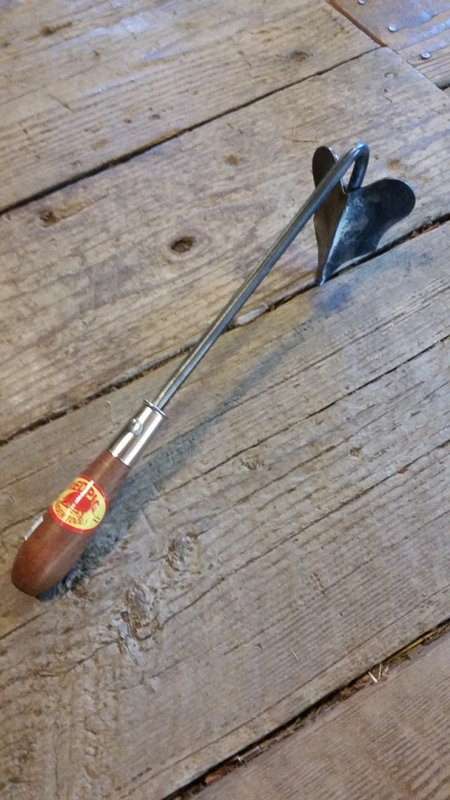 This short-handled furrow-maker will make life in your veggie patch easier. 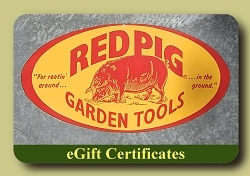 A "ridger" is a curious tool that falls on the evolutionary spectrum somewhere midway between a plough and a hoe. Consequently, they are often called "ridging hoes" desite being useless for weeding and rarely used for breaking solid ground--the two primary functions of a hoe. In their most familiar form, they are pole-mounted "middle-buster" furrowing ploughs, ideal for use in home and market gardens. Ridgers are common in Europe, occasionally in Britain and rare in America, despite being the very best tool for quickly and neatly pulling rows of alternating furrows and ridges through loosened, friable soil. Americans tend to use a flat, V-shaped Warren Hoe for furrowing small plots. 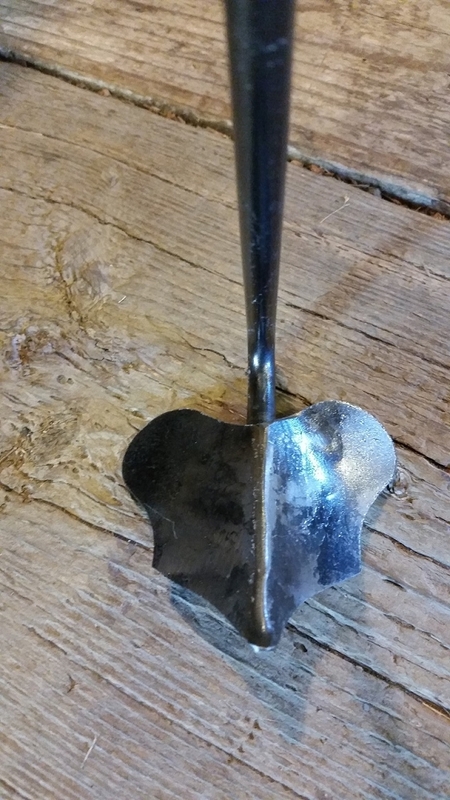 In Britain, the job is often done with either a Warren Hoe or a similar-though-larger, heart-shaped, eye hoe. Both of those tools can also be used for slicing or grubbing weeds, and for loosening stony ground, but are less efficient than ridgers for furrowing. When pulled through the soil, material accumulates in front of their blade, spills out the side, and then tumbles back into the newly drawn furrow. You have to scratch repeatedly to get clean, tidy furrows and ridges. Not so with a ridger. 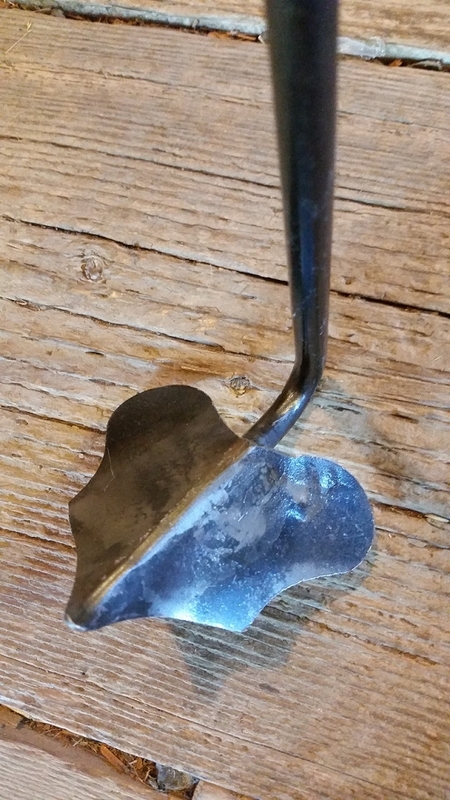 Because it has swept-back, curving sides and "ears," the displaced soil rides up the face of the ridger and is deposited well outside the furrow. You get a clean trough in a single pass. 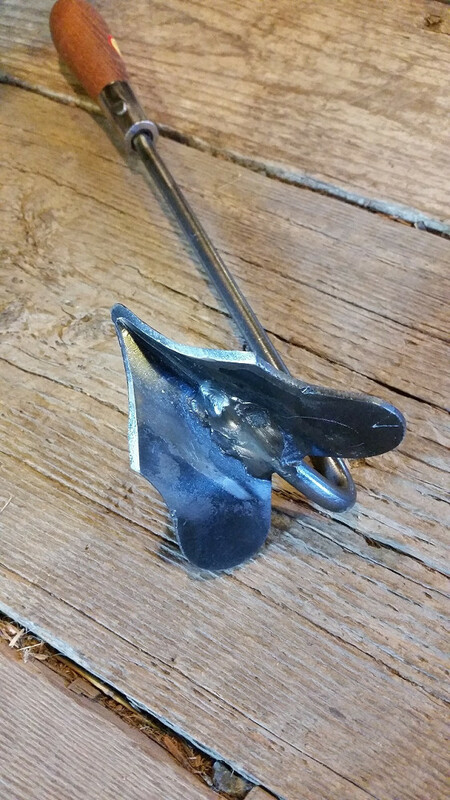 You can also use the tool's angled face for firming up the ridges and--by flipping the tool upside-down and pushing it away from you--for tumbling the ridges into the trough after planting in furrow bottoms. We have been making 3, 6 and 9-inch, pole mounted ridgers for a long time. (They're not yet on our web site, but we do sell them. Just ask.) We decided to offer this 2" short handled ridger for use in raised beds and for making transverse furrows and ridges in wide, ground-level beds. It's also useful for a bit of shallow trenching to manage surface water. It measures approximately 15" overall.